College Profile: Anna University was established on 4th September 1978 as a unitary type of University. 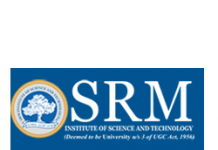 It offers higher education in Engineering, Technology and allied Sciences relevant to the current and projected needs of the society.Besides promoting research and disseminating knowledge gained therefrom, it fosters cooperation between the academic and industrial communities.The University was formed by bringing together and integrating two well-known technical institutions in the city of Madras. This FDTP Promotes the teaching faculty member skill in compiler design subject. The objective of this FDTP is to give insights of the basic understanding of the key concepts in translation through different Parsing techniques and various optimization techniques used in compiler. It covers the CS6660 Compiler Design Syllabus.